LINE Pay services in Singapore, LINE Biz+ Pte. Ltd. ("LINE Biz+") discontinued its provision of the LINE Pay services from 8 February 2018 onwards. Make Group Calls with 200 People: Try our group call feature with members in chats. Keep Your Things Close with Keep: Store messages, photos, and videos in Keep and share them easily with friends. Free voice and video calls: Use your PC or smartphone to keep in touch with friends and family both at home and abroad, or hold a business meeting on the go! Instant messaging anywhere: Conversation is just a tap away. Spice it up with LINE’s exciting collection of stickers or send pictures, videos, and even GPS coordinates to let your friends know what you’re up to. Make international calls with LINE Out: Make international calls to mobile phones and landlines at competitively low rates. You can even call friends who aren't LINE users (available in certain countries only). Make your face the center of action in Face Play games: Get ready to stretch those facial muscles! Rack up new high scores in solo mode, or battle it out with your friends in duo mode for double the fun. Don't forget to collect your special trophy and skin when you complete a mission or become the season champion! • Your iTunes account will be charged at the time of purchase. • Your plan will be automatically renewed and your iTunes account charged 24 hours before your plan's expiration date. • You'll receive a free seven-day trial with your first plan purchase. Your account will be charged at the end of the free trial. You won't be charged if you cancel your plan before the end of the free trial. • To prevent your plan from renewing itself automatically, please turn off the auto-renewal option at least 24 hours before your plan's expiration date. • You can still use your plan until it expires after canceling auto-renewal. • To view or cancel an existing plan, check your App Store purchase history from your device's settings. 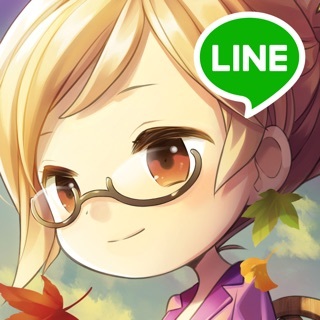 We recommend that you use LINE with iOS versions 10.0 or higher with an iPhone 5 or above. The line between instant messaging and social media is becoming a bit fuzzy—and that’s a great thing. Line offers free texting, voice messages, and video calls, all within its own nifty social network. With the app’s uncluttered, friendly interface, it’s simple to start group chats with close friends, receive notifications from celebrities you follow, or post daily highlights to your timeline. Tons of adorable virtual stickers give your messages added spark, and Line even integrates with select games and apps, letting you effortlessly share your achievements and creations. This app is by far my favorite app to use for messaging others. I really like the customization you can do with it. I do have a few recommendations that I would like to see in the near future if possible. First, a time stamp. It’d be nice to see what time someone was last active and not for stalking purposes but just to know when is a better time to message someone since I will know if they’re online or not. Second, stickers and emojis. There is an option for recommendations as you type and I have that option on but it still doesn’t recommend anything. If either that can get fixed, or have our stickers be organized into folders like “Yes” stickers and “eating stickers” so that related ones are sorted together, then that would be great. And lastly, just something minor but if the stickers we send continuously move instead of stopping after about 3 times of moving then that’d be cool. I hope my review will be taken into consideration! My keyboard will randomly switch to default, can not use on 2 device without erasing the other device, my older ipad is 16 gig and line chat takes 1+ of it unless I go into each chat and delete photos and messages( i have lots of chats for my game, many are used rarely). Give us a quick way to clean space on device such as delete all but last 10 messages in each chat unless marked don't delete(a simple solution it would appear to me). By doing so i could keep wasted space on my device to a minimum. I understand that many probably have pleanty of space on device but not everyone does. I personally don't like line chat app but most who play game i play use it. They were years getting ipad to work at all. I don't believe that the company puts customers first. Use to be for a long time you had to use a phone number I had ipod touch, now i can use email address but I'm still limited to one device what is the reason for that? Every quality chat app i have tried I can use on 2 device at at the same time. I'm not even asking for that I would just like the option to have on 2 device at once. The plus side is great stickers and enough are free that I gave 2 stars instead of 1 star. Update. I just got a new iPad took me a very long time to figure out how to bypass the text to phone ( that I don't have) in order to log in, monkey's could do a better job. Still 2 stars! !